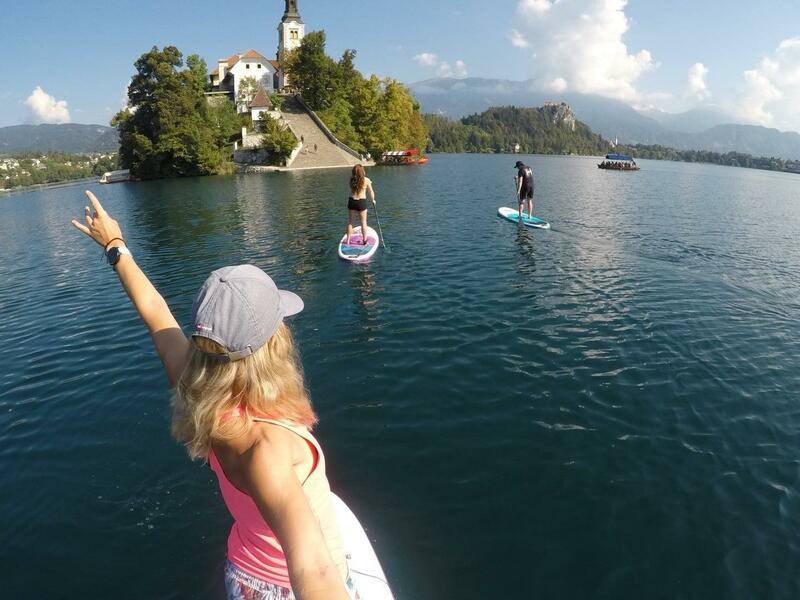 THE MOST RELAXING AND FUN PADDLE-BOARDING TOUR ON LAKE BLED! 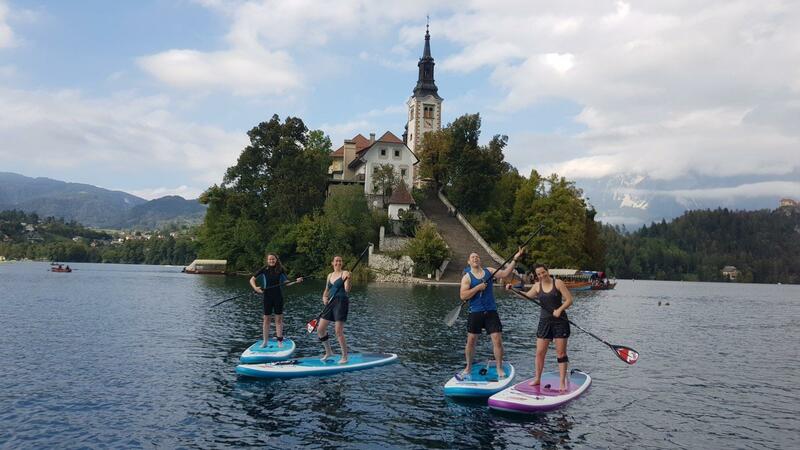 Voted the “Best summer tour”, the sup tour takes you away from the crowds and shows you spectacular views of the Bled castle in a very meditative environment. And we make it really fun with balance games and easy sup tricks! Of course just after we teach you how to paddle! You could always take the traditional Pletna boat ride to the island but if you are looking for something new and exciting, go paddle-boarding! LEARN. The Bananaway sup instructors will give you a brief introductory sup course. So you can join the tour even if you have no previous experience in paddle-boarding. EXPLORE. After we help you stand on your own two feet and feel safe, the SUP adventure begins. 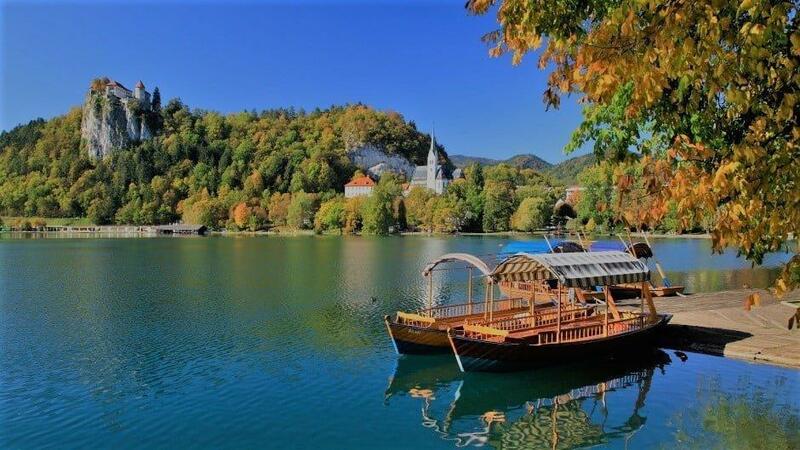 We will paddle-board together to the middle of the lake, breathe in the majestic views of Bled Castle and continue on to the famous little island which is a must-see! REFRESH & RELAX. We have some easy balance challenges for you, because we want you to have fun, fun, fun! You can also jump in the water and refresh yourself anytime. Or simply chill out with us in the middle of the lake, lay down on the board and soak up the summer wibe! GET THE LOCAL INSIGHTS. Don't expect too many historical fact! Instead we will share some interesting stories about slovenian culture, our way of life, give you some tips about local places, you don't want to miss! REMEMBER. We will make a funny group photos with a GoPro camera, which we will send to you after the tour! 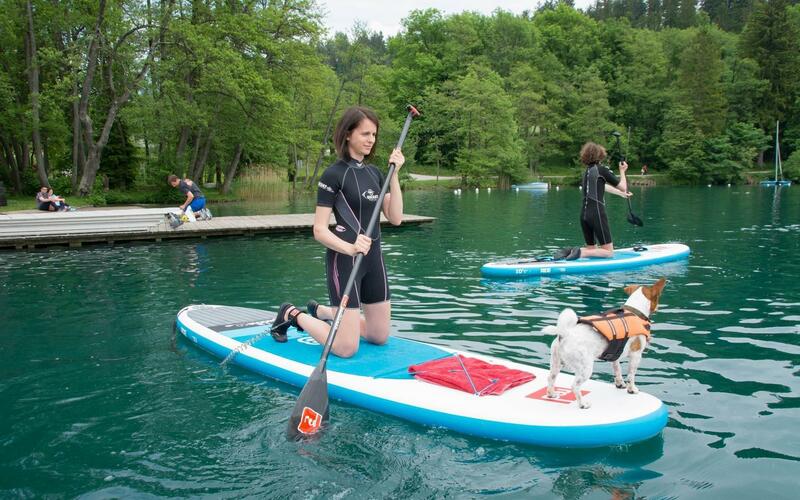 Sup tour is 2 hours long program with introductory sup course, sup games, relaxation and local insights. We adapt the program to your skills and the season, so in the spring expect a nice relaxed sup session! Sup & hike is a half day tour from Ljubljana, so we pick you up at your accommodation, take you to the viewpoint over lake Bled (quick 30min hike) and afterwhich a 2 hours long paddle-boarding tour will follow and some free time to explore the Bled area on your own. Absolutely brilliant day hosted by spela today! A trip to lake bled, learned how to paddle board, visited the castle and the gorge, top marks! Thank you very much! 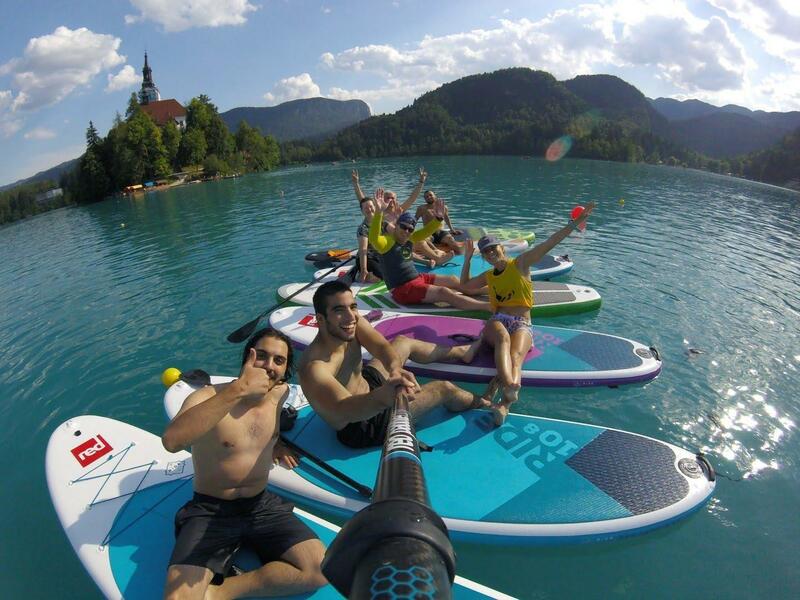 I cannot think of a better way to experience Lake Bled than standing on a paddle board with the folks from Bananaway. Our guide was wonderful! She was an excellent communicator before our trip and made me comfortable bringing our boys along (11 yo twins). We were all first-timers and her patience was golden. Of all the adventures we did during this trip (toboggan rides, bike tour, beer walk), this was the family favorite!